For some of the other high-profile players returning to their English Premier League teams following the international break, the reception might be a little frostier. 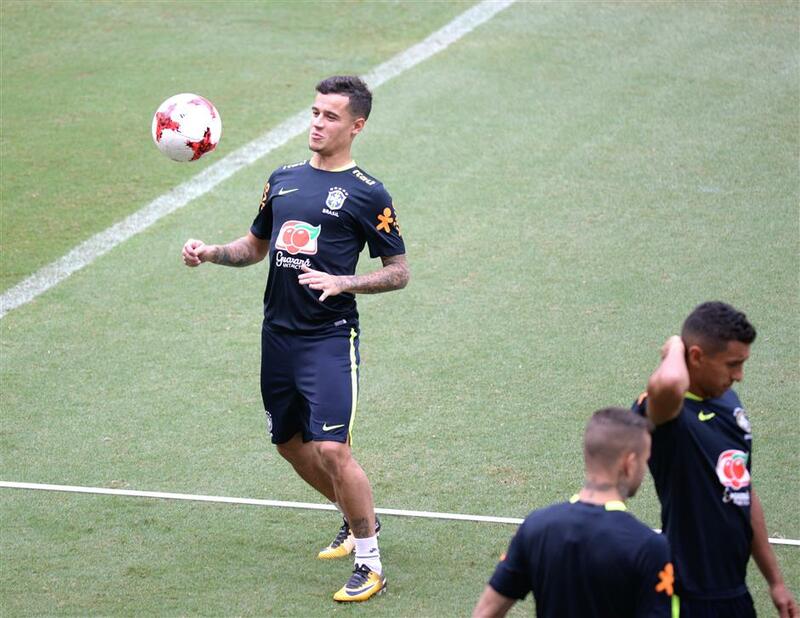 Brazil midfielder Philippe Coutinho of Liverpool takes part in a training session in Arena Amazonia, Manaus, on September 3, 2017, ahead of the team's 2018 World Cup home qualifier against Colombia. Alex Oxlade-Chamberlain was greeted with a high five and a warm hug from Liverpool manager Juergen Klopp ahead of the midfielder's first training session at his new club on Wednesday. Unlike Oxlade-Chamberlain, who managed to secure a transfer from Arsenal, three stars of the league — Alexis Sanchez, Philippe Coutinho and Riyad Mahrez — failed to get the moves they wanted on the final day of Europe's transfer window last week. Mahrez so wanted to quit Leicester City that the winger left the Algerian national team's training camp in Sidi Moussa on deadline day and returned to England, so that he would be in a better position to complete the formalities of a transfer if a club made a late bid. Unfortunately, a transfer didn't materialize. Liverpool visits Manchester City on Saturday in the standout match of the fourth round of league games, and it remains to be seen if Coutinho is in the right state of mind to be in contention. Oxlade-Chamberlain could make his debut for Liverpool, but would likely have to displace one of Emre Can and Georginio Wijnaldum — two of the Reds' best players in their 4-0 win over Arsenal in the last game before the international break. Chile striker Alexis Sanchez of Arsenal controls the ball during their World Cup qualifier against Bolivia in La Paz on September 5, 2017. The forward had a tough time on international duty with Chile — the team lost both of its games and no longer occupies an automatic qualification spot in the South American zone for next year's World Cup in Russia — and he made his frustration clear by saying on Instagram that he was "fed up" with the criticism he was receiving. Arsenal, which accepted a bid from City for Sanchez last week, is at home to Bournemouth on Saturday and is looking to avoid a third straight loss. Another player who might need to be reintegrated at an EPL team now the transfer window is closed is Virgil van Dijk, who hasn't trained with Southampton's first-team squad since the end of last season after handing in a transfer request amid interest from Liverpool. Elsewhere in the EPL, Manchester United is the only team to have won all of its games, and goes for a fourth straight victory in its trip to Stoke City. United has already beaten West Ham United, Swansea City and Leicester, scoring 10 goals in total without conceding.